There are three main pieces involved. The first to enter Debian was python-uflash, which was accepted into the archive 2019-01-12. The next one was mu-editor, which showed up 2019-01-13. The final and hardest part to to into the archive was firmware-microbit-micropython, which needed to get its build system and dependencies into Debian before it was accepted 2019-01-20. The last one is already in Debian Unstable and should enter Debian Testing / Buster in three days. This all allow any user of the micro:bit to get going by simply running 'apt install mu-editor' when using Testing or Unstable, and once Buster is released as stable, all the users of Debian stable will be catered for. As a minor final touch, I added rules to the isenkram package for recognizing micro:bit and recommend the mu-editor package. This make sure any user of the isenkram desktop daemon will get a popup suggesting to install mu-editor then the USB cable from the micro:bit is inserted for the first time. This should make it easier to have fun. Now we would like to teach it how to follow a line and take remote control instructions using the included Bluetooth receiver in the NXT. If you, like me, love LEGO and want to make sure we find the tools they need to work with LEGO in Debian and all our derivative distributions like Ubuntu, check out the LEGO designers project page and join the Debian LEGO team. Personally I own a RCX and NXT controller (no EV3), and would like to make sure the Debian tools needed to program the systems I own work as they should. 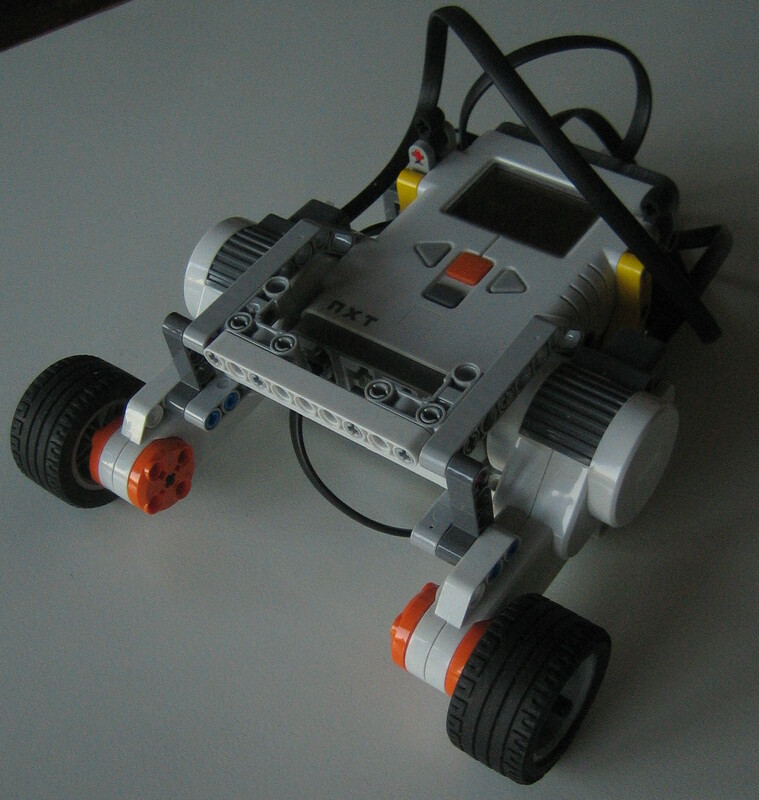 Back in 2010, I created a Perl library to talk to the Spykee robot (with two belts, wifi, USB and Linux) and made it available from my web page. Today I concluded that it should move to a site that is easier to use to cooperate with others, and moved it to github. If you got a Spykee robot, you might want to check out the libspykee-perl github repository. As part of my investigation on how to improve the support in Debian for hardware dongles, I dug up my old Mark and Spencer USB Rocket Launcher and updated the Debian package pymissile to make sure udev will fix the device permissions when it is plugged in. I also added a "Modaliases" header to test it in the Debian archive and hopefully make the package be proposed by jockey in Ubuntu when a user plug in his rocket launcher. In the process I moved the source to a git repository under collab-maint, to make it easier for any DD to contribute. Upstream is not very active, but the software still work for me even after five years of relative silence. The new git repository is not listed in the uploaded package yet, because I want to test the other changes a bit more before I upload the new version. If you want to check out the new version with a .desktop file included, visit the gitweb view or use "git clone git://anonscm.debian.org/collab-maint/pymissile.git". Tags: debian, english, isenkram, robot. Update 2012-01-03: A project page including links to Lego related packages is now available. This evening I made my first Perl GUI application. The last few days I have worked on a Perl module for controlling my recently aquired Spykee robots, and the module is now getting complete enought that it is possible to use it to control the robot driving at least. It was now time to figure out how to use it to create some GUI to allow me to drive the robot around. I picked PerlQt as I have had positive experiences with the Qt API before, and spent a few minutes browsing the web for examples. Using Qt Designer seemed like a short cut, so I ended up writing the perl GUI using Qt Designer and compiling it into a perl program using the puic program from libqt-perl. Nothing fancy yet, but it got buttons to connect and drive around. Thanks to the release of the source of the robot firmware, I could peek into the implementation at the other end to figure out how to implement the protocol used by the robot. I've implemented several of the commands the robot understand, but is still missing the camera support to make it possible to control the robot from remote. First I want to implement support for uploading new firmware and configuring the wireless network, to make it possible to bootstrap a Spykee robot without the producers Windows and MacOSX software (I only have Linux, so I had to ask a friend to come over to get the robot testing going. :). Will release the source to the public soon, but need to figure out where to make it available first. I will add a link to the NUUG wiki for those that want to check back later to find it. I dag fikk jeg endelig tittet litt på mine nyinnkjøpte roboter, og har brukt noen timer til å google etter interessante referanser og aktuell kildekode for bruk på Linux. Det mest lovende så langt er ispykee, som har en BSD-lisensiert linux-daemon som står som mellomledd mellom roboter på lokalnettet og en sentral tjeneste der en iPhone kan koble seg opp for å fjernstyre roboten. Linux-daemonen implementerer deler av protokollen som roboten forstår. Etter å ha knotet litt med å oppnå kontakt med roboten (den oppretter et eget ad-hoc wifi-nett, så jeg måtte gå av mitt vanlige nett for å få kontakt), og kommet frem til at den lytter på IP-port 9000 og 9001, gikk jeg i gang med å finne ut hvordan jeg kunne snakke med roboten vha. disse portene. Robotbiten av protokollen er publisert av produsenten med GPL-lisens, slik at det er mulig å se hvordan protokollen fungerer. Det finnes en java-klient for Android som så ganske snasen ut, men fant ingen kildekode for denne. Derimot hadde iphone-løsningen kildekode, så jeg tok utgangspunkt i den. Daemonen ville i utgangspunktet forsøke å kontakte den sentrale tjenesten som iphone-programmet kobler seg til. Jeg skrev dette om til i stedet å sette opp en nettverkstjeneste på min lokale maskin, som jeg kan koble meg opp til med telnet og gi kommandoer til roboten (act, forward, right, left, etc). Det involverte i praksis å bytte ut socket()/connect() med socket()/bind()/listen()/accept() for å gjøre klienten om til en tjener. Mens jeg har forsøkt å få roboten til å bevege seg har min samboer skrudd sammen resten av roboten for å få montert kamera og plastpynten (armer, plastfiber for lys). Nå er det hele montert, og roboten er klar til bruk. Må få flyttet den over til mitt vanlige trådløsnett før det blir praktisk, men de bitene av protokollen er ikke implementert i ispykee-daemonen, så der må jeg enten få tak i en mac eller en windows-maskin, eller implementere det selv. Vi var tre som kjøpte slike roboter, og vi har blitt enige om å samle notater og referanser på NUUGs wiki. Ta en titt der hvis du er nysgjerrig. Jeg kjøpte nettopp to Spykee-roboter, for test og leking. Kjøpte to da det var så billige, og gir meg mulighet til å eksperimentere uten å være veldig redd for å ødelegge alt ved å bytte ut firmware og slikt. Oppdaget at lekebutikken på Bryn senter hadde en liten stabel på lager som de ikke hadde klart å selge ut etter fjorårets juleinnkjøp, og var villig til å selge for en femtedel av vanlig pris. Jeg, Ronny og Jarle har skaffet oss restbeholdningen, og det blir morsomt å se hva vi får ut av dette.